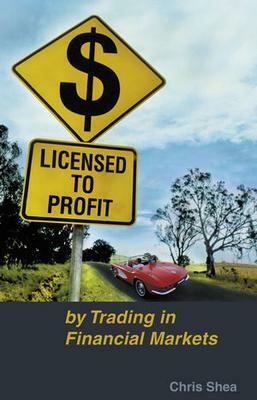 Trading Book Review: Licensed to Profit by Chris Shea. A good 'starter' book with a focus on trading from a behavioral and psychological perspective. It is written by Chris Shea who is an industrial psychologist and super-trader coach. It is a good 'starter' book and a useful reminder if your trading discipline lapses. Chris approaches the topic from the behavioral and psychological perspective which is often just an add on to many systems oriented writings; he covers essential basic concepts in simple layman's terms. Especially useful in several aspects: it is a compact and concise, very clear explanations of the basics with a focus on developing your trading skills inventory, visuals used to good effect, stresses the importance of measuring and reviewing your performance but relates this to your 'trading apprenticeship' or 'learning curve'. Thanks to Mak Jeng for this excellent trading book review and recommendation. Chris Shea is a highly respected author and coach so this book is worth reading. Psychological and behavioral issues are and extremely important driver of trading profitability. This is true whether the trading systems are being used or not, and it is true no matter whether you are trading the share market, futures, forex or options. All traders need to work on their psychology to ensure their ongoing success. Join in and write your own page! It's easy to do. How? Simply click here to return to Trading Books.